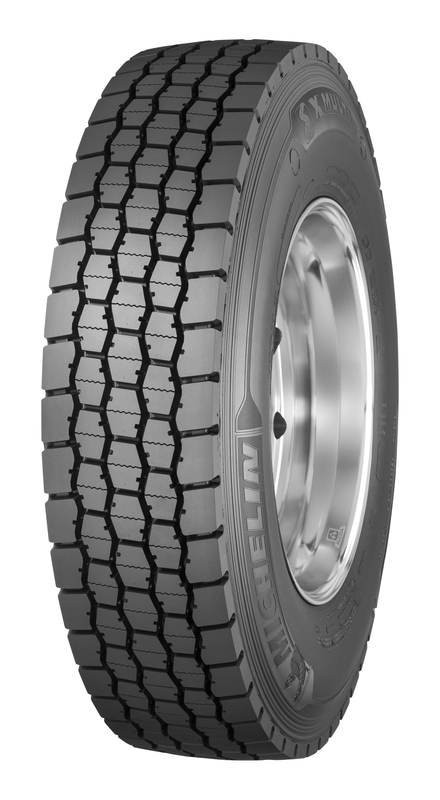 GREENVILLE, S.C. – Michelin has a new drive tire for the growing regional haul segment, which it says offers 65% better removal mileage compared to its predecessor. The new X Multi D is a regional drive tire for LTL, pickup and delivery, and food and beverage applications, and can even perform light off-road duty in energy and construction applications that are off the highway 5-10% of the time. Adam Murphy, vice-president of marketing, Michelin North America, said regional haul customers demanded a tire that would stand up to their rigorous environments, while providing excellent traction and a durable casing. 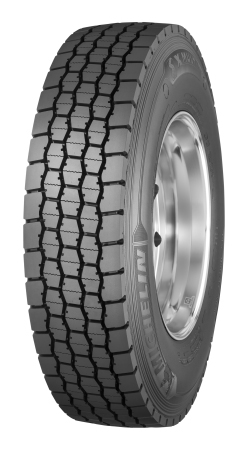 The Michelin X Multi D drive tire for regional haul applications. “The X Multi D was designed in a way to bring all the important key benefits needed by regional fleets operating in difficult conditions, with no compromises,” Murphy said today during a conference call with trucking press. The tire uses advanced rubber compounding to provide more even wear and longer tread life. A co-extruded rubber compound is actually comprised of multiple compounds: a top compound promotes scrub resistance, while a bottom layer compound keeps the casing cool. Teardrop grooves at the bottom of the siping prevent torque cracking while decreasing heel-toe wear, Murphy explained. The new tire features a 28/32-inch tread depth in all sizes. Murphy said the X Multi D will get 65% better wear mileage than the Michelin XDE M/S tire. He also said the improved traction gets the truck up to speed in winter conditions 80% faster than the leading competitor. Features contributing to improved traction are pass-through open shoulders that quickly evacuate water, mud and slush from beneath the tread surface area, and biting tread edges that provide better grip – especially in snowy conditions. TW6 OzoneShield technology is used to protect the sidewalls against weathering. Michelin is backing the new tire with its Confidence Guarantee. If the tire doesn’t meet the customer’s expectations for mileage, traction, or driver satisfaction, Michelin will reimburse the cost premium the tire carried relative to a competitive drive tire. The new tire is being launched in the U.S., Canada, and Mexico in sizes: 11R22.5 (load ranges G and H), and 11R24.5 (load range H). Additional sizes will be introduced in the coming months, Michelin says.